Who hasn’t dreamed of one day ruling your own country? Along with great power comes unlimited influence, control, admiration, and often wealth. How to Be a Dictator will teach you the tricks of the tradehow to rise to the top and stay in power, and how to enjoy the fruits of your excellence. 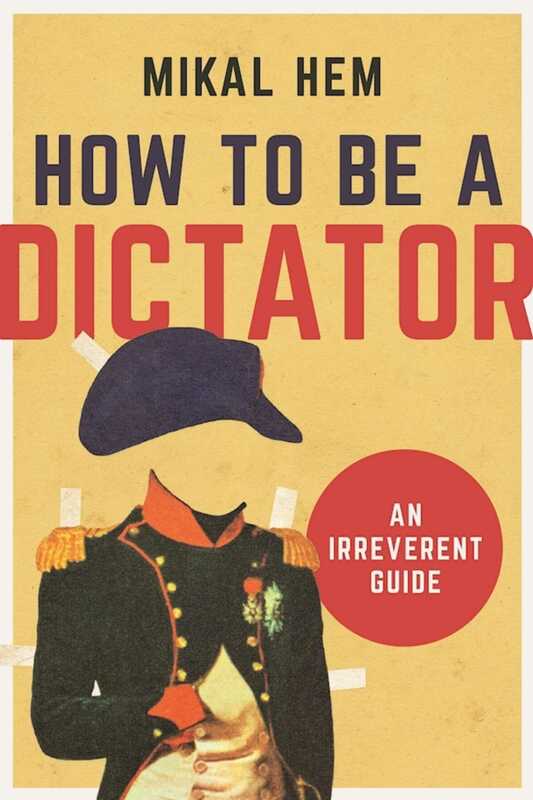 Featuring examples from the most successful leaders and regimes in the business, including Kim Jong Il, Robert Mugabe, Muammar Gaddafi, Nicolae Ceausescu, François Papa Doc” Duvalier, and many others, this handy guide offers ten easy lessons on becoming and acting like a dictator from how to rig an election and create your own personality cult to the dos and don’ts of dictator fashion. Other topics include: how to become wealthy and spend your fortune, sleeping around, expressing your literary genius, and how to avoid being toppled, exiled, and or meeting any other dismal end. Combining black humor with political insights, How to Be a Dictator is peppered with horrifying and hilarious stories from some of the most eccentric modern world leaders.